Today the guys share one track from their highly-anticipated forthcoming album, Aer, which drops on January 21st 2014 to eager fans. 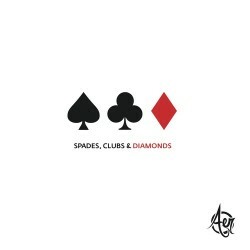 "Spades, Clubs & Diamonds" features a lighthearted, easy to digest sound that gracefully touches the ears. It's fun and doesn't take itself too seriously, a perfect fit for the young Bostonians. It's easy to understand how they've managed to gain such incredible success in a few short years, as their style will easily please everyone. This track comes as a free download to those who preorder the album on iTunes and is also available as a standalone purchase to buy now.